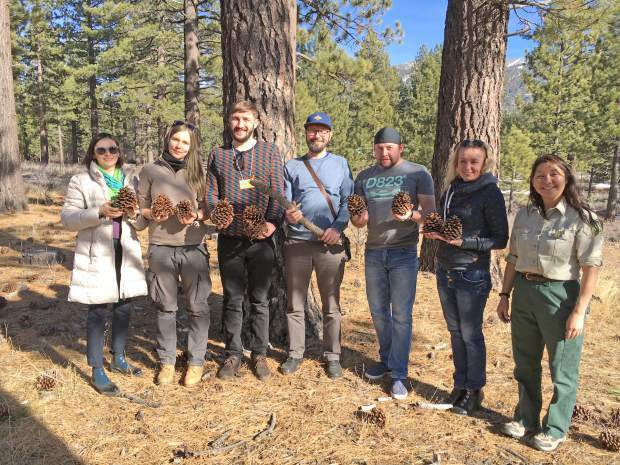 The delegates visited Lake Tahoe to learn about conservation of natural environments with the Forest Service’s Conservation Education Coordinator Joy Barney. The delegation’s visit was made possible by the Friendship Force and Open World Program and was coordinated through the Open World Leadership Center, which has enabled over 26,000 current and future leaders from 17 countries to engage in and establish mutually beneficial relationships with their U.S. counterparts. The Friendship Force is a nonprofit cultural exchange organization focused on promoting understanding, cultural education and citizen diplomacy through home stay travel and is based in over 60 countries with over 15,000 members.